Oh I know what you’re going to say, “Have you been to every beach in the world”? But even if I had, it’s subjective isn’t it? Still, the travel gurus (Trip Advisor, Travel Channel et al) seem to agree with me since at least one of Anguilla’s (British West Indies) beaches make their lists every year. The truth is, I would be happy on any beach. But this is one of those places that you just knew would be perfect, but reality even managed to surpass that expectation. And I had some pretty stiff criteria. 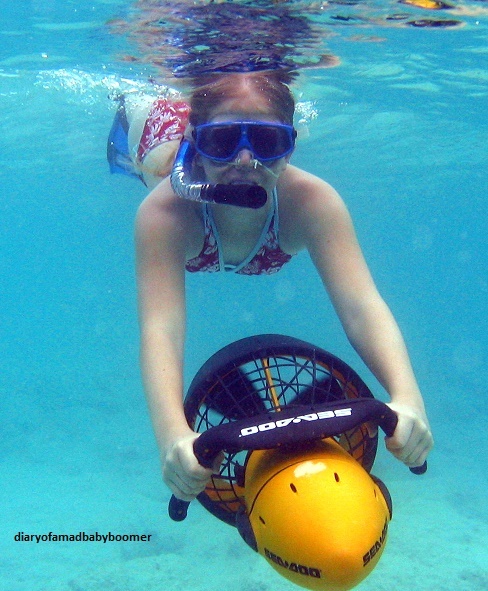 So when I arrived with my young daughter and reluctant husband in tow (this was in 2005) after flying from LAX to Fort Lauderdale to Puerto Rico to Tortola to St. Maarten and finally to the island of my dreams…Anguilla. Oh you know it, it’s the island Brad and Jen were photographed together for the last time, Orlando Bloom honeymooned, Jay Z and Beyoncé on the beach, Sandra Bullock with her son Luis and ad infinitum. But how does one on a budget go to an island that is the playground of the rich and famous? It can be done. I knew I was in trouble though as our planes kept getting smaller, and by the time we left for St. Maarten from Tortola, some of our fellow passengers were chickens. Also on that plane was a woman so large there was a plank put in the aisle so she could sit down for take off….and that is why we arrived without our luggage. They had left it on the tarmac because the plane was too heavy. Not just ours, but that didn’t make me feel better when we had to wait for 4 hours in St. Maarten for another plane to bring our luggage. But that’s part of the adventure right? So when we were finally told that our luggage would not arrive until the next day and hailed a taxi to take us to the French side of the island so we could catch the ferry to Anguilla, how stressed out was I when the taxi driver told us we only had minutes before the bridge between the Dutch and French side closed for the night. Seriously? To his credit and my frazzled last nerve, he drove like a crazy man and I am quite sure there were not more than a few bicyclists stuck to his grill, but we got there in time. So after a day of travel that spanned 6 countries and more than a couple of mishaps, how do you think I felt when I opened the French doors of our room and looked out at this view? 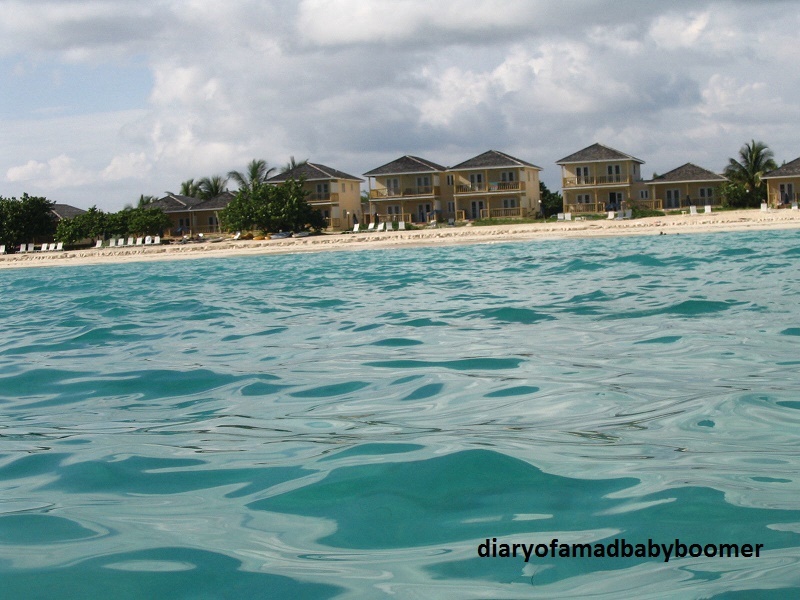 Here we were on Rendezvous Bay at the Hotel and Villas with the same name. A Rendezvous with heaven it must mean. It was everything I had hoped. Perfectly white sand beach that went on forever with nobody else on it. I dared not breathe lest I wake up back on the plane with the chickens. We shed our travel clothes and cares and dove into the crystal clear warm water where I would stay, on one beach or another, for a week. Arriving at the destination of a bucket list item is the fruition of a dream. What makes the dream real however, are the moments in time that follow the arrival. The moments we spend in awe of beauty, in respect of other cultures, in interactions with the people in those cultures, and the time we get to spend with our loved ones away from the hustle and bustle of our every day lives. So are they the most beautiful beaches, or the most beautiful moments? 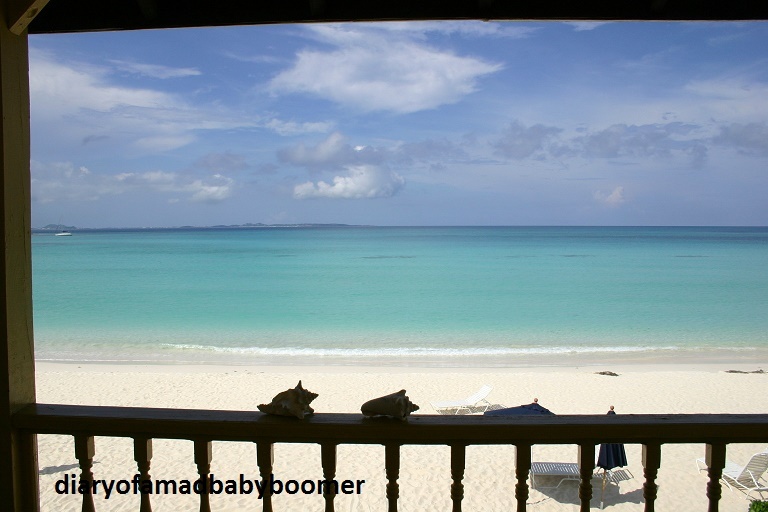 I will expound on this island and it’s most beautiful beaches in the world in future posts, but I will leave you with some photos of beautiful moments, forever frozen in time on Rendezvous Bay, Anguilla, British West Indies, Lesser Antilles. 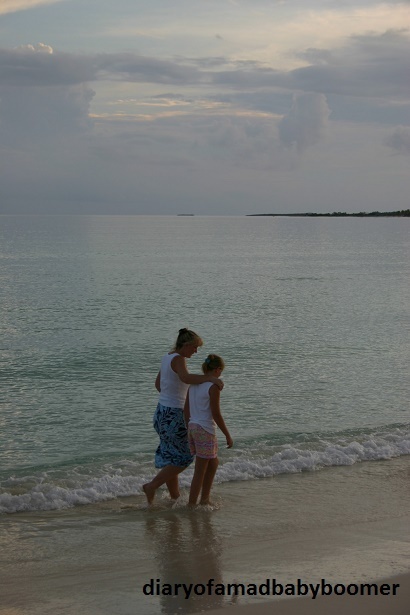 My daughter and I strolling along the empty beach. Priceless. A mermaid in an aquamarine Eden. Our upstairs villa room is the one with the towel hanging over the veranda. I think we were the only ones there. In May no less. LA seemed to be on a different planet. My hubby photographing me waiting to try and photograph the perfect sunset. I snapped this as I walked along the dirt road with my hubby hand in hand to check out of our hotel. 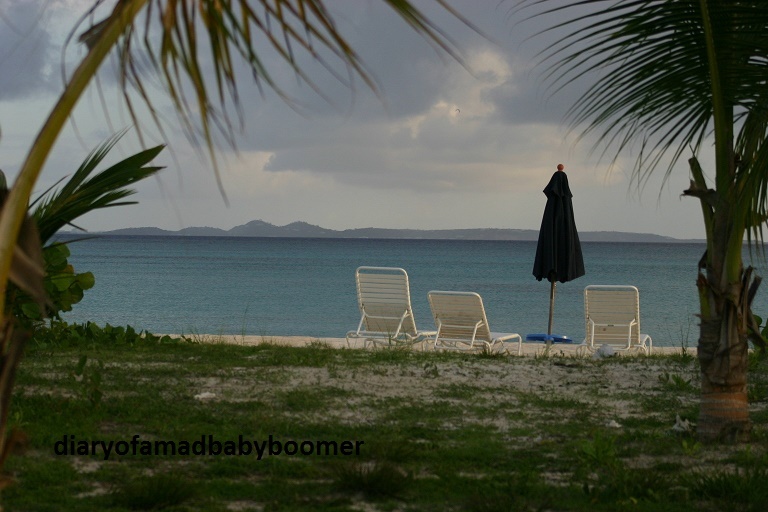 The palm trees frame the shot of Rendezvous Bay, and another perfect moment forever in my heart. 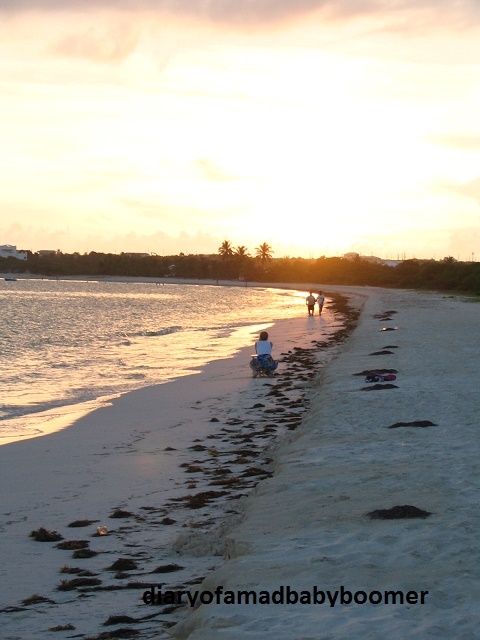 We say good-bye to this beach, but not to Anguilla. There are more beaches and moments to share. 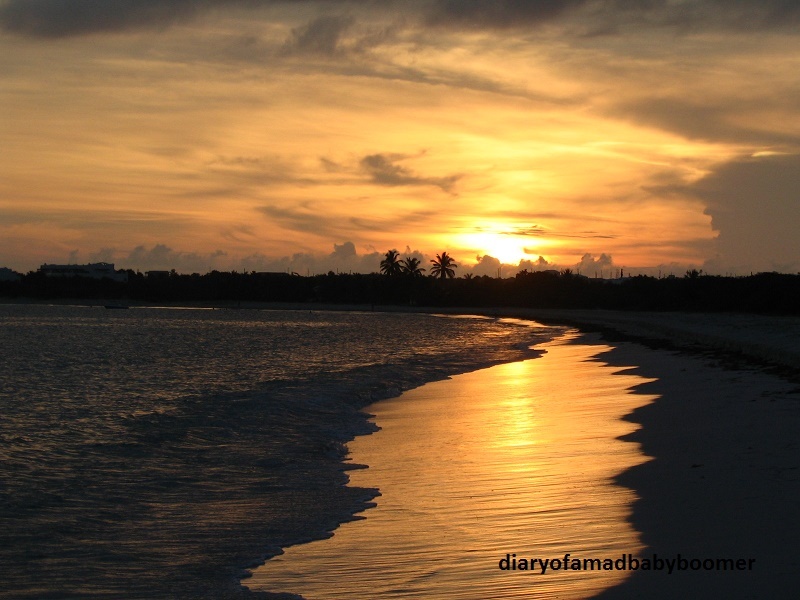 This entry was posted in Bucket List, Travel and tagged Anguilla, Baby Boomer, Bucket List, Dear Diary, Most Beautiful Beaches, Rendezvous Bay by ckdenson. Bookmark the permalink. Oh, what gorgeous water. Great photographs. So glad you’re back 2000!